The excitement of moving to a foreign country does not come without a host of challenges to overcome. Learning a new language, adjusting to a new job, a new culture, making new friends can be difficult and frustrating at times. One of the most stressful decisions you can make when trying to settle in a new country is finding a place to call home. Regardless of the length of your extended stay, whether it be for a few months or a few years, trying to identify and secure a long term rental remotely, with no opportunity to actually SEE the property before you commit to it, requires patience, due diligence and a certain amount of good faith. Finding an agent to assist you and act on your behalf can make the difference between an easy, smooth transition and one that results in a less than ideal living situation. When Rob and I moved to Playa del Carmen with our young family, five years ago, we had a leg up on the process. Our partner and his wife had moved here a few months earlier and settled in well. They were able to find a great house for us and had it ready to move into by the time we arrived. Finding the right house, in the right area helped us to adapt quickly to our new way of life and assimilate quickly into the community. For this reason, we take the process of house hunting for our clients, very seriously. It must be undertaken thoroughly and with great care and sensitivity to each individual customer. Whether you have visited Playa del Carmen before or you are coming for the first time, you will want to have a representative here, to scout out the various neighborhoods, look for rental properties, take pictures and relay the information to you in a timely manner. Because the Playa del Carmen vacation rental market is so strong, owners are often reticent to commit to a long term rental at a discounted rate. Many owners use their properties personally throughout the year, making it impossible to consider a long term tenant. While there are probably hundreds of villas and condominiums in the city being rented on an extended term, (generally meaning 6-12 months, sometimes as few as 3-4 months), the vast majority of these properties will never hit the open market as we know it. Playa is a small city with a very strong expat network. Good, well located, well priced rentals are easily filled as soon as they are vacated simply through word of mouth with no need for agency promotion. 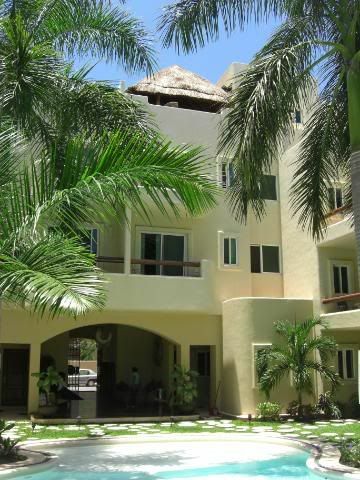 For this reason, as you initiate your search for a long term rental in Playa del Carmen, you may be surprised just how few you will find listed on the internet. It takes a tremendous amount of legwork on the part of an agent to find, photograph and post these listings. Most real estate brokerages have neither the time nor the manpower to invest in an activity that generates very little profit in comparison to sales. Dates of Stay: When are you planning to arrive and how long are you planning to stay. If you have some flexibility in your arrival date, be sure to say so. Being able to adjust your travel dates by even a few days may mean the difference between securing a great rental rather than one that is just "so-so". Rental rates will often vary depending on the season you are arriving and how many months you are staying. A 12 month lease will guarantee you the lowest possible rates. Location: Are you a country mouse or a city mouse? 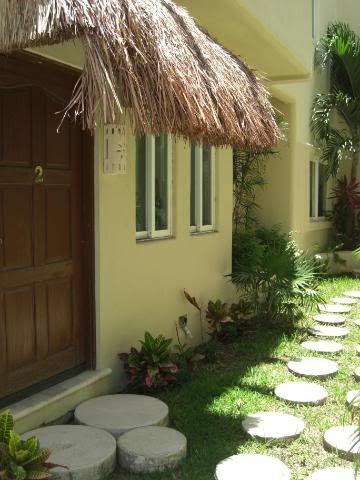 Playa del Carmen may not have much to offer the true country mouse but that does not mean you can't find a rental with nice gardens and green space. If these things are important to you, say so! If you are looking for a stand along house or villa, your choices will be limited to Playacar and similar gated communities that have sprung up all along the Riviera Maya in the past few years. Playacar in particular is popular with families concerned about having plenty of space for their children to run, bike and make friends. Many newcomers love Playacar for the access to the Reef Beach Club and the reduced greens fees at Playacar's Golf Club. If you are a city person, there are various neighborhoods to consider as well. Be sure to ask what the demographic of the area is when you are considering a particular unit. Budget: While there are certainly exceptions and rental rates will vary somewhat by area, you can expect to pay at very least $400 usd for a studio apartment, $700 usd for a one bedroom, $800 usd for a two bedroom and $1800 usd for a three bedroom condo or villa. These prices are representative of what is currently available, east of the highway, in this market, right now. These numbers represent rates for rental properties in areas generally considered favorable by foreigners moving to Playa del Carmen. Naturally, the closer to the beach a property is, the more expensive the rental rate. Unless specifically noted, most rentals do not include utilities. You may find a few owners who will include gas, water and internet but electricity is almost always separate. While everyone's usage will vary, electricity is expensive here in Playa. Renters coming for the winter months may not need to run the air conditioning very much and thus, avoid outrageous charges. Summer visitors should definitely keep electricity in mind when creating their household budget. Pets: Many, many people these days are bringing their pets along even just for extended stays of 3-4 months. Finding owners who will accept pets in their home is quite a challenge. Expect your choices to be limited and expect to pay a separate pet deposit on top of the regular and customary damage deposit (generally the equivalent of one month rent). Dogs are not permitted on the beaches here in Playa, nor are they allowed in cabs or buses. That being said, most of Playa del Carmen and by extension, Playacar, is fairly pet friendly. Dogs can often be seen with their owners in offices, bars and restaurants. Once you find a pet friendly long term rental, if you clean up after them in public and make sure your pets are well house trained and socialized, you should have no trouble at all. Amenities: Once you have started communicating with a long term rental agent, be sure to let them know what amenities and features may be important to you in a possible new home. If you or anyone in your family has mobility issues, we sure to ask for a ground level unit or one accessible by an elevator. Many buildings in Playa del Carmen are not handicapped accessible. Make sure your agent knows if you have any physical limitations to consider. Pet owners may also prefer a ground floor unit. Taking Fido up and down the stairs from your penthouse may get old after a few weeks. Television, either via cable or satellite, seems to be available in most rental properties these days but internet is still hit or miss. Be sure to confirm that the specific unit your are renting has internet already or that it can easily be set up or activated once you arrive. Pools are always high on the "most wanted" list for long term and vacation renters and with good cause. Many. residential complexes have large common pools maintained for the use of owners and guests. Even the newer condominium buildings in town are including pools, roof top and otherwise, in their designs. If you intend to use the pool for exersize, be sure to clarify the depth and length with your agent. Laundry facilities are a huge plus for long term renters. If there are no facilities either in the unit itself or onsite, be sure to find how how far away is good "lavandaria" is. Parking is nearly always available in Playacar and in the newer condominium complexes in town. If you are bringing a vehicle or plan to purchase one here, make sure the units you are considering have parking, especially if you are living in downtown Playa. In the past three months, we have been contacted by over twenty individuals, couples and families who are planning a move, some permanent, some temporary, to Playa del Carmen. Each of these customers has a specific list of needs and desires in regard to housing and each of these details needs to be taken into account as we search for their new home. In each case, we do our very best to match up each customer with the villa or condo that is best for them based on the criteria we have been given. If you are considering a move to Playa del Carmen, make sure you have carefully though through your needs and those of your family. Look at your lifestyle choices and your social habits, both those you have now and perhaps new ones you may wish to adopt in your new host country. Always keeping in mind WHY you are moving to a new country will play a great part in the house hunting process and help to assure that you find the home that is right for you and your family. 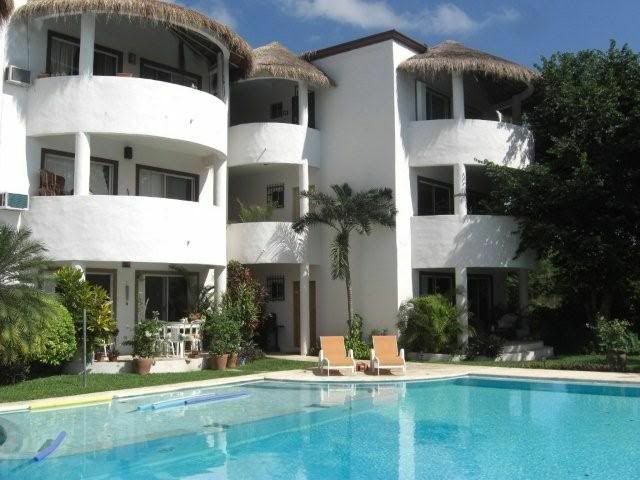 Are you looking for a long term rental in Playa del Carmen? 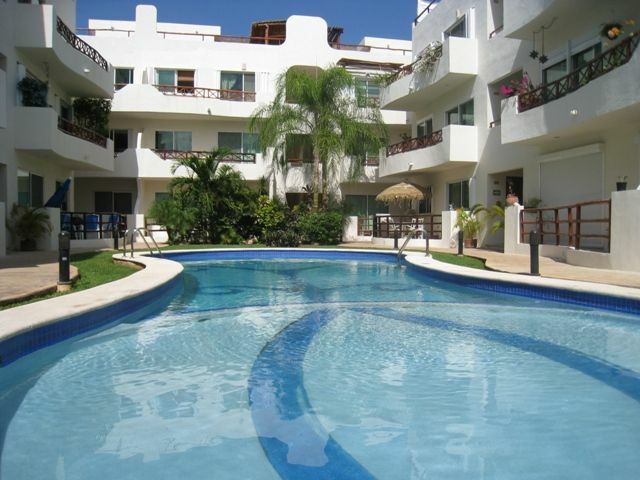 Feel free to contact us and also check out our Long Term Rental listings on www.BuyPlaya.com. Great article, as always! Lots of good advice here for people looking to make the move to Playa and other foreign destinations. I hope with the booming construction market, the number and variety of long term rentals increases. Only time will tell. Thanks John. There are so many things to keep in mind when you plan a move to a different country. If you can find help along the way, take it!! Just my luck! You announce your LTR area, and for some stupid reason, I stop getting your RSS feed :). I'll probably be in touch in July. Might be looking at a six-month lease starting in September. Thanks for keeping up this great site, and for all the serfvices you guys offer. Hope to get a chance to meet you when I'm down between Christmas & mid-Jan.
Feel free to drop me an email if you would like assistance in finding a long term rental. I am happy to help! michelekinnon[at]gmail[dot]com. Please send me an email at michelekinnon[at]gmail.com. We would be happy to help! I have a condo (fully furninshed and renovated) in the 5th ave which I intend to make available for Long Term (6-12 month). Would you be able to assist with finding good tenants & managing this property? I think things will be better a slong as you choose a nice tenant to stay there in your place.. This is a very nice and good post. You provided very good information and putting the light on very good points. I have enjoyed reading the post. Thanks for the sharing.